We have been informed NAB will be increasing the rate on our home loan by 0.16%, which is very disappointing. Our loan is $780,000 and the rate will now be 4.15% - should we be looking to refinance or is NAB just the first and the other banks will be increasing their rates soon? What is the best rate we could get if we did refinance? I can get you 3.54% p.a. variable rate on owner occupied. I can assist you with the refinance. You can also consider fixed rates. It will also depend on your loan to value ratio so I would need to know the value of your home before we can really quote you. I will also need your credit score and mortgage statements to see if your past behaviour is acceptable to my panel of lenders. Therefore, Henry's loan is either Interest Only if Owner Occupied, or it is an investor loan. No problems Henry. 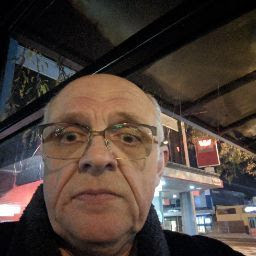 You can also call me on 0414 727 308 if you wish. There are better rates than 4.15% available in the market at the moment. I would suggest sitting with a broker so you can be assessed and compare the cost of switching with the savings you could potentially make to decide which loan is the most suitable. My opinion no if your a loyal customer generally a bank needs customers so they will look after you now and in the future. Still a good interest rate shouldn’t be to concerned.Always pay more on your payments.